Baking Soda is something we all have somewhere around the house. Whether it's stashed in our baking cabinet or in our fridge. 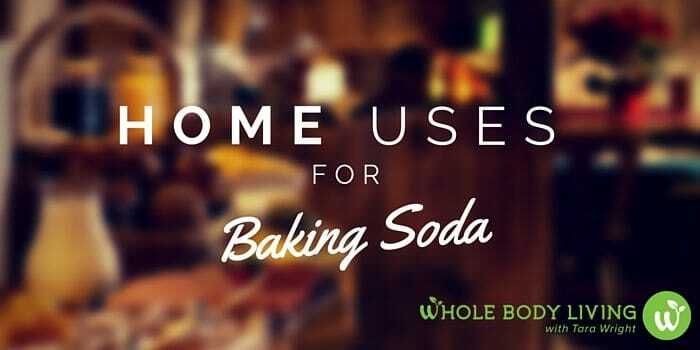 In this guide, we're going to cover 14 Household Uses for Baking Soda. Baking soda is sodium bicarbonate which is part of the natural mineral natron. It is high in alkaline salt and has a bitter/salty taste. It reacts with acids (such as vinegar) to create carbon dioxide gas. It makes a great natural cleaner. You can use it for everything from a scouring agent to a natural odor buster. It is also commonly known as a leavening agent in quick breads where it reacts with acid and creates carbon dioxide gas, creating a “rise” in the finished recipe. Baking soda contains no aluminum like baking powder does. Baking soda is approved for the keto diet where baking powder is not due to the addition of corn starch (which is derived from a grain–corn). Around the house it can be used as a natural cleaner to tackle a variety of jobs. Have you ever gone to use one of your coolers to open it and find it smelly and stale? Baking soda can come to the rescue as a natural deodorizer. Simply mix a solution inside of the cooler filling it with water and about a ½ cup of baking soda. Shut the lid and let it sit for an hour or two. Then rinse and dry. Essential Oil Tip: Add 4 drops of Thieves Essential Oil blend to the baking soda and then mix with water to harness the cleaning & deodorizing power of essential oils. You can use a similar method with old Thermos containers. Sprinkle a tablespoon of baking soda in smelly shoes regularly to keep odors at bay. Some shoes can (and should be) thrown in the washing machine from time to time. Mix 2-3 drops of Young Living’s Tea Tree or Purification Essential oil in with the baking soda for an even more powerful odor fighting solution. Baking Soda is a handy kitchen staple that can be extremely useful in case of a small grease fire. First, turn off the heat source. If you have a lid to the pan, simply cover it with the lid. The fire should burn off. If no cover, then dump baking soda on the grease fire until it’s out (It does take quite a lot to smother a grease fire). NEVER put water on a grease fire or try to carry the pan anywhere else. Baking soda alone is a fantastic, non-toxic ingredient for deodorizing your carpets. Simply sprinkle evenly over the carpet. Let sit for 1-2 hours and then vacuum it off the carpet. 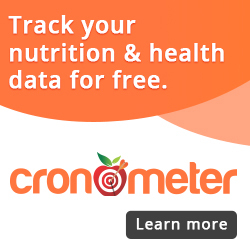 Want to make it even more powerful? We like to add 10-15 drops of one of our favorite Young Living Essential Oil (Purification, Tea Tree, Lemongrass or Thieves are a few of our favorites for this purpose) to a box of baking soda. Shake it up and then sprinkle. The beneficial properties of the essential oils go to work alongside the baking soda. And the house smells fantastic and clean! Simply sprinkle baking soda onto the stain and rub into carpet. Then spray the surface with a vinegar solution diluted 50% with water. Let the solution sit for 5 minutes and then rub with a clean cloth. You may allow the solution to dry and then vacuum. For an extra heavy stain lifter– spray Thieves Household Cleaner on the surface of the stain after it has sat for 5 minutes and wait another 5 minutes. Toss in a ¼ to ½ cup of baking soda to your laundry detergent for whiter whites and brighter colors. It's a fantastic natural cleaner for clothing. Use ¼ cup in front-loaders or ½ cup in top loading machines. It also acts as a water softener so you can get away with using less detergent. Mix ½ cup baking soda with a gallon of room temperature water to create a pre-cycle soak. You can also use the pre-soak setting on your washing machine and add ½ baking soda directly to the drum. We also like to use Thieves Household Cleaner to pre-treat especially stubborn stains. We just spray it on and let it sit for 10 minutes prior to washing. Baking Soda is great in the garage as well. Simply sprinkle it over grease/oil spills and let it absorb the grease. Then scoop up and discard. Baking soda is a great soaking agent that helps remove caked on/burned on food. Simply soak with about ¼ cup baking soda and ¾ cup water for 15-30 minutes. Then scour until clean. Warning: it is not recommended that baking soda be used on aluminum cookware as the alkaline sodium bicarbonate may react with the aluminum and cause discoloration. I first discovered the magic of baking soda’s natural cleaning and whitening power when I attempted to clean the grout on a set of end-tables my grandmother had tiled the tops of. Dirt had discolored the grout. To clean I simply sprayed the surface lightly with water and sprinkled baking soda on top of it. Then I sprayed a 50/50 solution of water & vinegar lightly on the surface. I wiped the surface clean and repeated the process in sections. This time using a stiff scrub brush to gently remove stubborn dirt & stains. To clean our grout in the shower, we measure out ½ cup baking soda and add 3-4 drops of Purification (Young Living Essential Oil). Shake this mixture up and then sprinkle it over the floor. After about 5 minutes we scrub the mixture in and rinse. It really makes a great natural cleaner! You can use the same method as with grout for caulk as well. Simply use an old toothbrush along with the baking soda mixture to get into cracks & crevices. Wipe the residue away with a wet, clean cloth. Baking soda makes a great scouring agent. Simply sprinkle baking soda on a damp sink and scrub. This works great on stainless steel sinks as the gentleness will not scratch the surface. This procedure really works best to prevent clogging from occurring. You’ll need boiling water, baking soda and vinegar to do the job. First, boil a large saucepan full of water and dump it down your drain. Sprinkle in ½ cup soda and let it sit in the drain for 10 minutes while you boil more water. Then take 1 cup hot water and mix it with 1 cup vinegar. Slowly pour this down your drain and watch the reaction at work. Follow this by the second pan of boiling water. We like to add 4-10 drops of Young Living’s Purification or Thieves essential oil blend to the vinegar step to harness the cleaning power of Essential Oils. Place an opened box inside your fridge to absorb odors from food and keep it smelling fresh and clean. We recommend tearing the entire top off the box so that odors can be absorbed. We add 5-10 drops of Young Living Lemon Essential Oil to our soda box, shake it and then tear the top off. This leaves the fridge smelling fresh and clean much longer than the box alone. Post your favorite uses for in the comments. Wait, What IS Baking Soda?